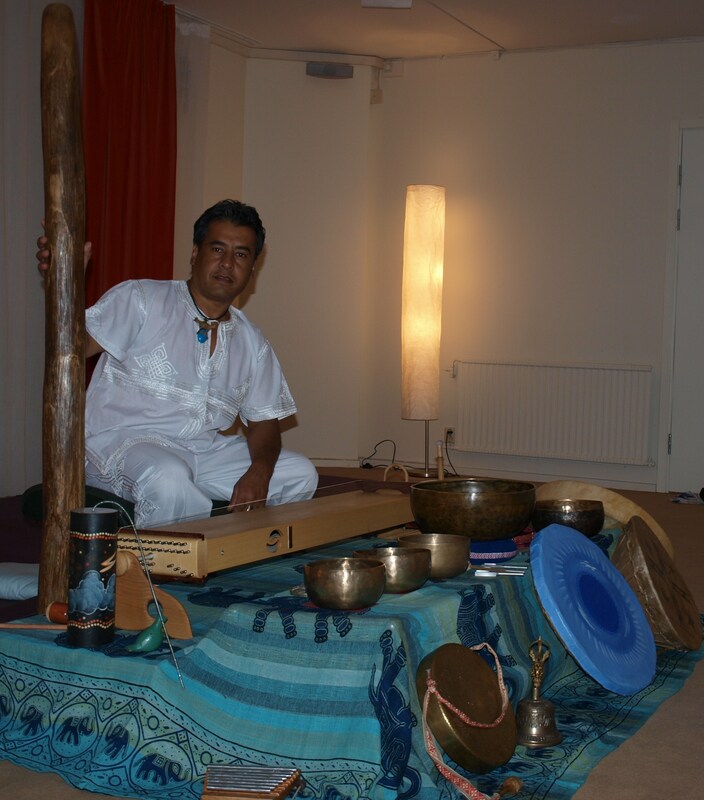 Since I graduated as Sound Therapist I have being playing Sound Journeys, traveling with my instruments in Sweden but even to other countries as Norway, Denmark, Finland, Spain, Estonia and Chile. 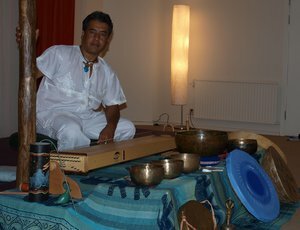 While the participants are lying down, I play a selection of sacred and traditional acoustic instruments that are rich in harmonics, like the Tibetan Bowls, the Shaman drum, didgeridoo, ocean drum, rain sticks, tuning forks, Steel drum, monochord and more, creating a wonderful landscape of tunes to travel into. This magical journey into the world of tones is created intuitively with great sensitivity and presence. Each trip is unique, depending on the participants. The instruments are then played next to each participant, so that everyone can feel the sound waves and vibrations physically. The sound is kept constant in order to help the participants forget the reality of the physical body. The soul is then free to travel. Unstructured sound bypasses the intellectual and analytical side of the brain and then the creative, intuitive side runs freely. Both The physical body, the subtler fields and the subconscious mind are directly affected. Russian scientists measured the energy meridians of a participant and it turned out that most of her blockages were gone after a Sound Journey! They had never seen anything like it. With aura photography before and after you can see the change in your field. 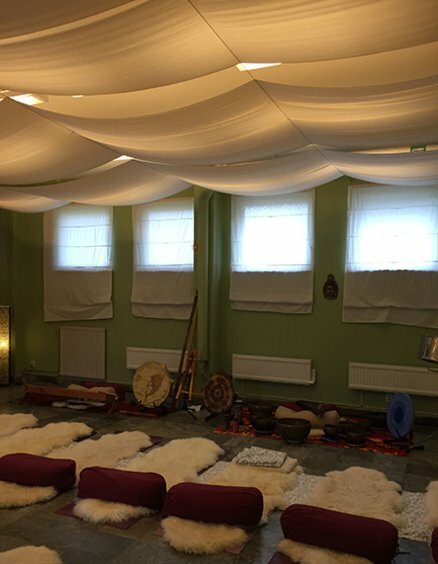 Sound Journey in Lindesberg at Rosa Åkermans yoga center.